Josiah Wedgwood may have been the first marketer to brand his products with a logo, but the 18th century potter didn't invent branding. Eleventh century European monks did. By design self sufficient, medieval abbeys routinely sold surplus meat, cheese, honey, wool, brandy, beer and wine to local laypeople. The abbey's name on any of these products was a mark of consistent quality. 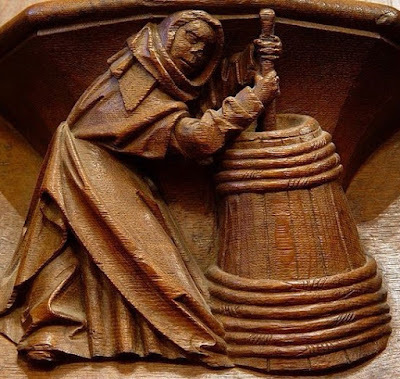 Ten centuries later, the vestiges of medieval monks' marketing smarts remain, most notably in the wine industry. Many of our most recognizable wine words derive from the abbeys, including clos, hermitage, prieuri and commanderie. HAT TIP: Our resident medievalist Ann Ramsey suggested and researched this post.